Mike joined Rich & Cartmill in July of 2017. A native of Wichita Kansas, Mike is a graduate of Kansas State University with a BS degree in Business. Mike spent his first 12 years with various National Brokerage Firms in CO, OK and TX before becoming an Independent Agent in 1997 with a Tulsa agency. Mike earned his CIC designation in 1997. Mike’s commercial accounts and expertise range from Temp Staffing, National Distributors, Fine Dining Restaurants, and Manufacturing to Environmental Waste. 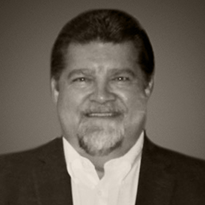 Mike has always strived to provide the best of personal service to his clients. Mikes spare time is spent with his wife and two rescue dogs. Scuba diving is a passion Mike and his wife both share that they can’t do enough.